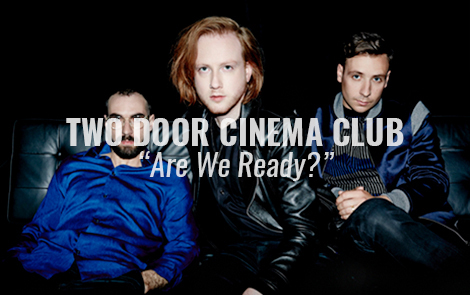 Two Door Cinema Club have recently unveiled the new song “Are We Ready? (Wreck)”, the first new music from the band since 2013’s Changing Of The Seasons EP. The song is the first listen to the band’s highly anticipated third album, Gameshow, available to pre-order now and due out October 14th on Glassnote Records.